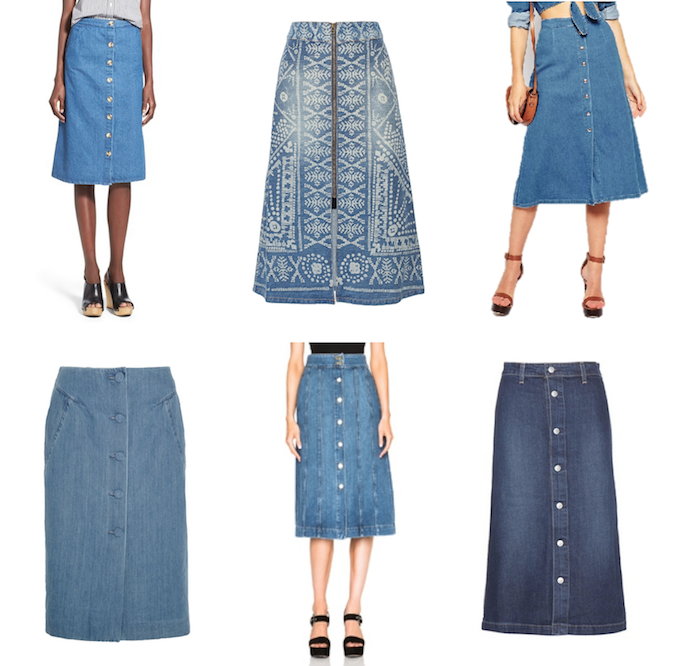 I'm shopping for clothing I can wear now and later and the trend on the streets that's a must try is a denim midi skirt. Wear it now with a chunky sweater and boots and then in the summer throw on a white tee and open toe pumps for a casual chic look. If you want to take the denim skirt a fashionable step further, look for a button front denim midi skirt and channel a 70s vibe without looking like you just stepped out of your aunt Thelma's closet.